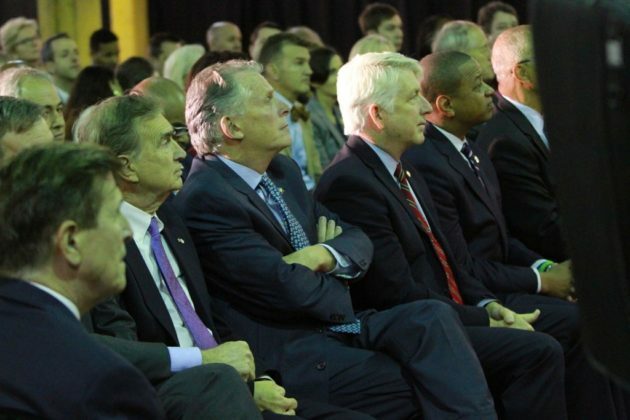 (Updated at 4:05 p.m.) Concerns about the wisdom of doling out millions in incentives to lure Amazon to Arlington have abounded ever since rumors first kicked up that the company could head to the county — but Tuesday’s celebration of the move in Pentagon City didn’t betray much trepidation among state and local leaders. Instead, Gov. 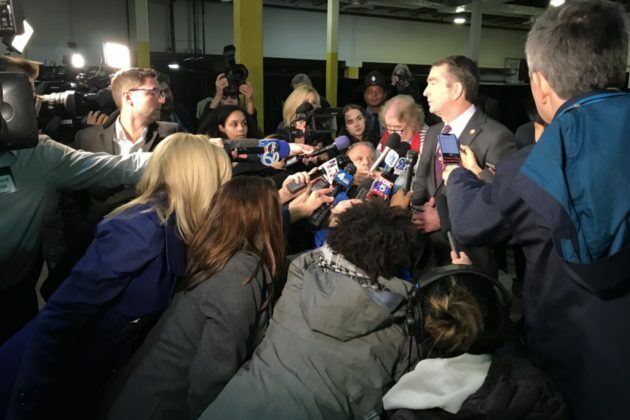 Ralph Northam and a cadre of others devoted the afternoon to hailing the tech giant’s decision to bring a new headquarters to Arlington as a transformative one for the region. Crystal City and its surrounding neighborhoods have long struggled with a high office vacancy rate, ever since the military and other federal agencies fled the area years ago, a problem that vanished virtually as soon as Jeff Bezos and Amazon’s leaders tabbed the newly dubbed “National Landing” for half of their planned “HQ2.” Accordingly, the mood among local leaders was positively ebullient — even as they persistently sought to quell a nervous public’s fears about the company’s impact on the region. Certainly, no aspect of the county’s pursuit of the tech giant has attracted quite as much scrutiny as the incentive package it would offer to help Arlington stand out over the bevy of other suitors interested in earning Amazon’s attention. Critics from all along the political spectrum feared that the state and county could well give away so many tax breaks to the company as to make the project’s benefits on the local economy negligible at best. But with the deal finally out in the open, after Amazon forced officials into silence for months, Arlington leaders are ready to make the case that they help broker a fair deal for the new headquarters. In all, the state and county will combine to give Amazon about $819 million in tax breaks and other investments, with about $23 million in grant money coming from the county over the next 15 years. Arlington will pull that money away from an existing tax on hotel rooms for the $23 million, but all the incentives Amazon receives are contingent on it creating at least 25,000 jobs in the area over the coming years. 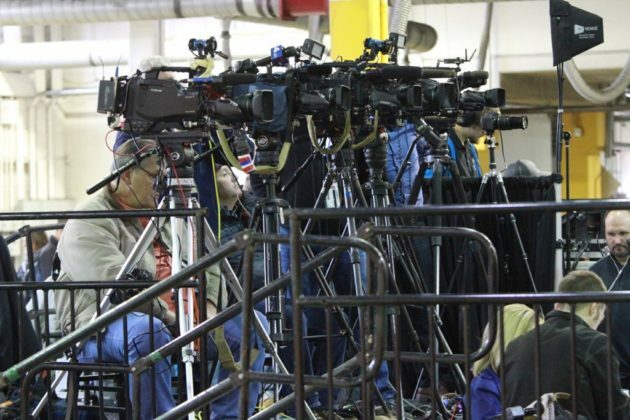 The company could even reach more than 37,000 jobs by 2034. 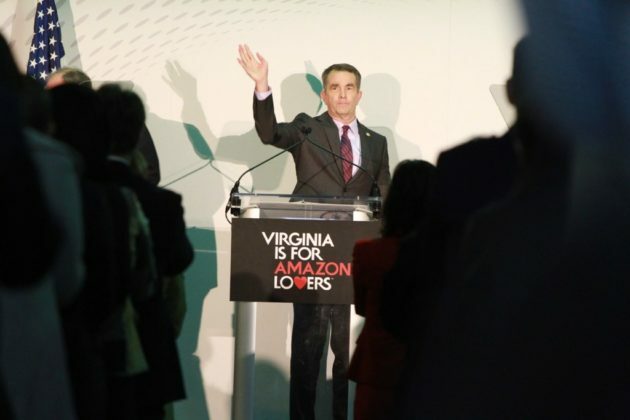 However, when the company announced that it would be halving its initial proposal to bring 50,000 jobs to whichever area it selected for a new “HQ2”, cries grew louder that the state might be paying for only half of the investment it was initially promised. 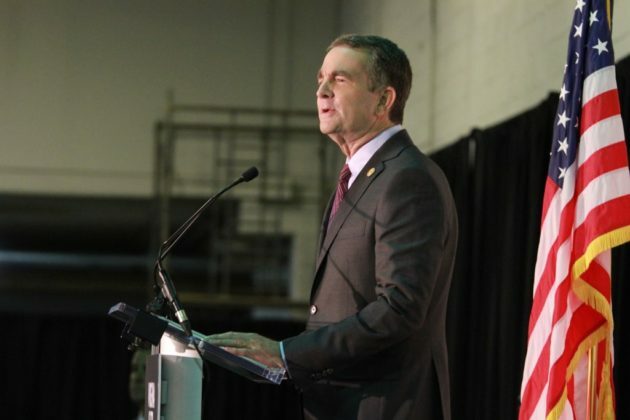 Northam told reporters only that the state “had to make some modifications” in response to that development, but did not elaborate further. 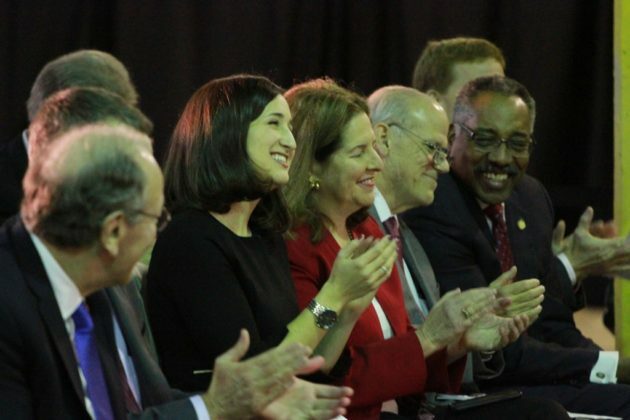 But even with Arlington splitting the new headquarters with Long Island City, he praised the deal for its potential to “diversify our economy” away from dependence on the federal government in a transformative way. Arlington leaders certainly agree with that sentiment. 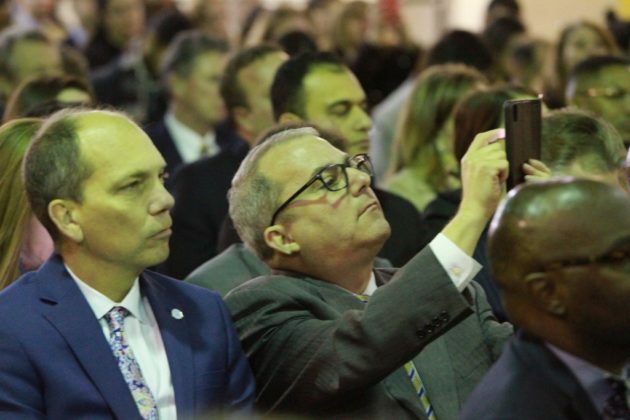 Victor Hoskins, director of Arlington Economic Development, remembers shouting “yahoo!” when he and his staff received confirmation of the good news last night. 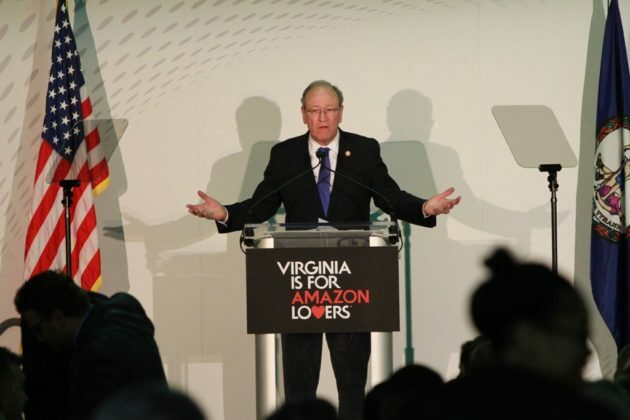 He added that the county recently learned that Apple has since started looking elsewhere for its new headquarters, eyeing Fairfax County instead, but that hardly matters given the size of the county’s Amazon deal. 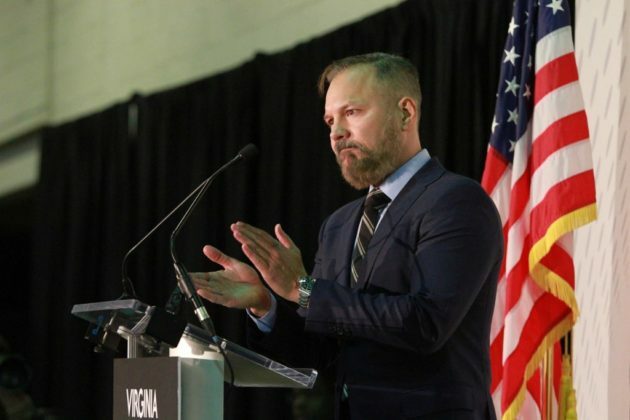 Other officials pointed out that other nearby states put forward incentive packages worth billions, while Virginia’s offer primarily focuses on investments in transportation and education improvements. 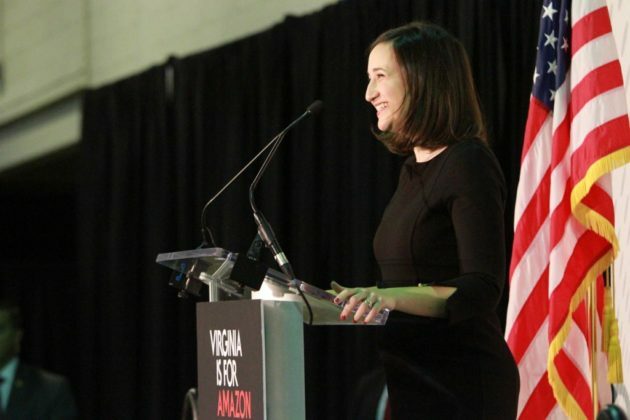 The deal with Amazon calls for new state investments in everything from Metro infrastructure to new high-tech education programs at Virginia Tech and George Mason University. Still, Dorsey acknowledged that county officials have plenty of work to do to make the sell to the community. The Board is set sign off on portions of its deal with Amazon in February, leaving plenty of time for critics to have their say. The General Assembly will also get the chance to scrutinize the deal, though the exact details of how it might do so remain murky. A commission of both state senators and delegates convened to review major economic development proposals has already lent the deal its approval, but Del. Patrick Hope (D-47th District) says all 140 state lawmakers will get a chance to vote on the incentive package in next year’s legislative session. Some of the budget amendments to power the proposed investments included in the deal will also go before the General Assembly in the coming years, Hope added. But Del. Lee Carter (D-50th District), an ardent critic of the company’s potential impact on the region, isn’t holding out much hope that his colleagues will do anything other than simply “rubber stamp” the deal Northam helped broker.